Emergency Dentists USA offers a comprehensive listing of Sacramento emergency dentists, including walk-in dental clinics and dental offices that are open after hours to accommodate emergencies in the evenings or on weekends. You can also find a 24-hour emergency dental hotline with a live operator to assist you in choosing a dentist right on this website. So glad I was able to find this website! They had great info on the emergency I was experiencing and had a long list of emergency dentists available along with their hours which made finding someone when I needed it very easy. Finding an emergency dentist in Sacramento is definitely easy to accomplish with Emergency Dentists USA’s large selection. 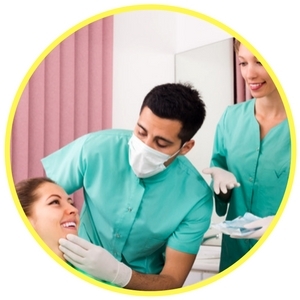 Walk-in dental clinics – These types of dental clinics offer open appointments so that patients can just walk into the office and see a dentist. 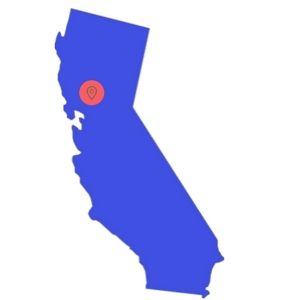 Through our research, we weren’t able to find any clinics in Sacramento that offer walkins. Emergency 24-Hour Dental Clinics – This type of clinic allows patients access to an emergency dentist regardless of the time of day or night. Dr. Patel at Stonebrook Dental offers 24-hour dental services with a simple phone call to his office. After Hours Dentists – these are Sacramento dental clinics that provide care for patients after the normal 9 to 5 workday, during the evenings, or on weekends. Park Place Dental Group and Orthodontics and Sacramento Dentistry Group both offer office hours as late as 8 p.m. on weekdays with openings available on weekends as well. Some after-hours dental clinics are also open on holidays. Located below you will find a variety of dental offices with after hours or emergency dental services that are designed to cater to your busy schedule. Choose a dental office below, or call our 24-hour emergency dentist hotline to speak to a helpful operator. Description Time matters when you have a dental emergency. By clicking on the link above, you will be able to set up an appointment with an emergency dentist. It will only take a couple of minutes and you’ll soon be on your way to the emergency dental clinic in Sacramento that is closest to your home or office. There’s no easier way to find the dental care you need when you need it. Description: The Sacramento Dentistry Group is an excellent choice for an urgent care dentist. They have Saturday and Sunday dentist hours and you can get in virtually any time. Being open from 8am til 8pm 6 days a week is a real advantage and this is possibly the best emergency dentist in Sacramento! Description: Dr Judy Hoang is ready to have you as a new patient at the Park Place Dental Group. Their Saturday dentist hours are excellent from 8am til 1pm, as well as Mon, Tues, Wed and Thurs they have after hours dentist hours until 6 or 7pm each night. Description: Dr. Patel has been a practicing dentist for many years. Through his experience, he has been able to provide emergency dental care to many Sacramento residents. Call him for 24/7 dental care no matter what you need. A great place to find emergency dental care with or without insurance. Description: This Emergency clinic offers scaling, root planning, root canal therapy, and many other of the usual emergency dentist offerings. When one of your loved ones or friends is in extreme pain, you’re going to love how great it will feel to get them in the chair of a seasoned professional. Description: The Strawberry Creek Dental Group is ready to take you on as a new patient. Their professional and comfortable atmosphere will help you feel at ease during your dental emergency. Hours of service are as follows: Monday and Wednesday are the best days if you’re looking for an after hours dentist appointment, otherwise, they have limited emergency dentist hours the rest of the week. Description: This dental office offers evening dentist hours until 6pm on Monday, as well as until 7pm on Wednesday which makes them a good choice for an after hours dentist. Just like your regular dentist office, a Sacramento emergency dental clinic has a friendly staff and a knowledgeable dentist to meet your needs. From simple x-rays and routine cleanings to complicated full mouth restorations, a visit to an emergency dental clinic is very similar to visiting your usual dentist. Try to gather any recent dental records that you might have and take them with you to visit your emergency dentist. This includes items like recent x-rays or operative reports. Try to arrive at the dentist office at least 15 minutes prior to your scheduled appointment. This will give you plenty of time to fill out the necessary paperwork and ask questions if you have any. Check to be sure that your emergency dentist accepts your payment method. Most dental clinics require payment in the form of cash, a personal check, or a credit card. You’ll want to inquire about your dental insurance plan and whether it’s accepted or not. Let the office staff and the emergency dentist know if you have any allergies to medications. Bring a list of your current medications with you to the dental visit. There are a variety of common dental emergencies that are definitely going to make your visit (or your life) in Sacramento a little uncomfortable. Some of the most common of these include a painful toothache or a lost filling or crown. Other dental emergencies include a broken tooth, a cracked tooth, a soft tissue injury, or even an abscess. Below we discuss some of these emergency dental situations and a few at home remedies to try while waiting to see your emergency dentist. An emergency toothache is one of the most common of all dental emergencies. Caused by an abscess, a broken tooth, or even a lost filling, an emergency toothache is definitely a painful experience. It is a great idea to first rinse your mouth with warm water and then use dental floss to remove any food lodged between teeth when you have a toothache. Never put painkillers like aspirin against the gum and tooth because the chemicals could burn the gum or even the tissue of the mouth. 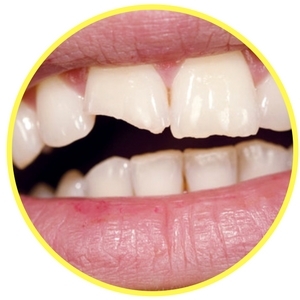 A chipped or broken tooth can occur at any time of the day or night, usually due to a fall or an accident. If you have a tooth that is broken, try to gather any pieces that you can find. Rinse your mouth thoroughly with warm water and rinse any pieces that you have gathered. Apply a piece of damp gauze to any area that is bleeding. Use pressure to hold the gauze in place for at least 10 minutes. A cold compress against the outside of the cheeks or lips will help to lessen the pain and reduce any swelling. 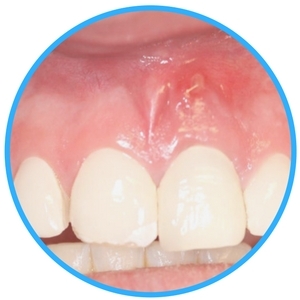 An abscess in an infection that typically occurs between the space located between the tooth and the gum or around the root of a tooth. If left untreated, this infection is capable of causing severe damage to the bone below the teeth as well as the tissue that surrounds the teeth. If you’re unable to quickly get to an emergency dentist, rinse your mouth with a warm salt water solution, which will help to ease that pain. In addition to helping with the pain, this will also assist in drawing out the infection towards the surface of the gum. When you have a tooth that requires an emergency extraction, it is very important to have the procedure done as quickly as possible. A Sacramento emergency dentist will generally take an x-ray and perform an examination of the tooth. He or she will then numb the area with a local anesthetic and use a special dental tool to remove the tooth from the gum. It usually takes about one to two weeks to heal completely from an emergency tooth extraction. During this period, patients are advised not to smoke, drink from a straw, or eat solid foods. Sometimes a visit to a hospital emergency room is your only option when it comes to handling a dental emergency. Unfortunately, most hospital emergency rooms are not equipped to handle the repair of a broken tooth. When you head right to the emergency room, you are often treated with painkillers or antibiotics and then advised to visit an emergency dentist in the Sacramento area. It is important to visit a hospital emergency room if you have a tooth that is painful due to a fall or an accident. Playing sports and damaging your teeth would also require an ER visit so that the physician can evaluate any other injuries that you might have. If you are experiencing only a dental emergency, it is better to see an emergency dentist rather than visit an emergency room as dentists are trained to handle situations that involve teeth and gums more than emergency room doctors. There are plenty of wonderful emergency dentist options in the city of Sacramento. Let our free service help you, if you are experiencing an emergency do not hesitate to call and we will find a dentist near you that can help you get out of pain immediately! No matter which Emergency Dentists USA dental group you choose, it is always important to check your new dentist out on the American Dental Association. This website allows you to ensure that your new dentist is certified to practice dentistry in your state, and gives you updated information regarding his or her licensing and qualifications. You can also research a new dentist on the California Dental Association. Dentists listed on this website are licensed to practice in the state of California, and you can check out your new Sacramento emergency dentist before you enter the clinic for a visit.